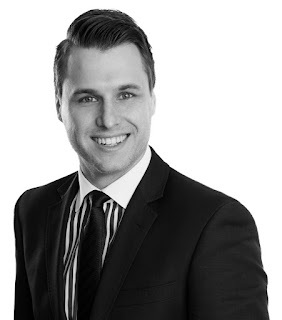 In 2014, The Tax Institute’s Tax Adviser of the Year Awards recognised Matthew Andruchowycz as the Emerging Tax Star for that year. At the time, Matthew was a Senior Associate at Wallmans Lawyers in Adelaide. According to the judges, he demonstrated an ability to work on complex matters at a level significantly beyond the level expected of a tax professional with fewer than five years’ experience. Fast forward to today and Matthew is already an accomplished senior tax professional. As a Principal at DMAW Lawyers, he works with accountants, financial planners, bankers, business owners and high net worth individuals on a range of intricate taxation and superannuation matters. 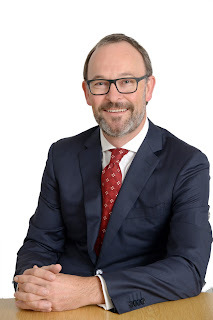 He is also a sought-after tax author and speaker, and has been included in both the Australian Financial Review’s “Best Lawyers” list and Doyles Guide to the Australian legal profession as a leading tax lawyer. the Australian Government’s Re:think tax discussion paper; andthe Board of Taxation’s Review of tax impediments facing small business. 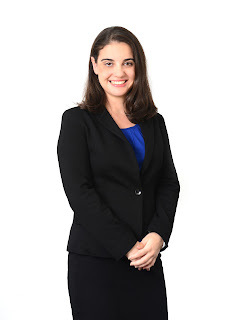 The Tax Institute’s Tax Counsel, Stephanie Caredes, recently participated in an ATO panel discussion with three other tax experts. The moderator was Channel 7’s David Koch. The discussion centred on how the Tax Office is partnering with industry to improve the experience of tax payers and tax professionals through better public advice and guidance. Alongside Stephanie, the panel included the ATO’s Deputy Chief Tax Counsel, Will Day, the Corporate Tax Association’s Executive Director, Michelle De Niese, and Prolegis Lawyers’ Consultant, John King. The discussion covered a range of specific issues around the main theme, including measures to improve public advice and guidance services, the provision of public advice and guidance on changing legislation, and the new law companion and practical compliance guidelines. The panel also answered a number of public advice and guidance questions. You can see a video of the discussion, produced by Pinstripe Media, on the ATO’s YouTube channel. Day one of this year's Noosa Tax Intensive was due to kick off with a plenary session from Justice Tony Pagone, a leading Federal Court judge specialising in taxation matters, speaking on recent Australian federal taxation decisions and their implications for taxpayers and their advisers. Justice Pagone unfortunately is now unable to speak at this year's Intensive. 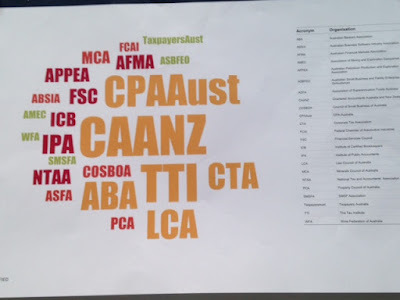 Nevertheless, the Institute is excited to announce we have secured a number of leading tax specialists to debate on whether - after 31 years - CGT has lost its way. David W Marks, QC, CTA, is a Brisbane commercial silk, specialising in tax. He appears in court as a specialist advocate. At the 24th Noosa Tax Intensive, David will be our coordinator for the workshop on Part IVA. This workshop will explore the issues presented by Simon Steward, QC, in plenary session seven in relation to Part IVA, and how it may, or may not, be applied by the Commissioner in different practical situations. Plenary session seven, ‘When will Part IVA be an issue with SME reorganisations?’ is presented by Simon Steward, QC, FTI (Victorian Bar) and Kirsten Fish, CTA (ATO) and examines the extent to which transactions may be formulated given the presence of the new Part IVA. In particular, can beneficial tax results only be achieved by accidental planning? David tells us that delegates at the workshop he is coordinating will discover “the practical application of Part IVA” and it will “enrich their understanding of practical Part IVA scenarios”. Paul Lyon, ATI, is a Tax Partner with EY in Sydney. Paul will be one of more than 30 experts heading north in November for the 24th Noosa Tax Intensive where he be one of the leaders for a workshop on 'Capital Management Issues', coordinated by Scott McGill, CTA (Pitcher Partners). The workshop draws on two plenary sessions on Private Company Capital Management, presented by Paul Hockridge, CTA (Mutual Trust) and David Marschke, CTA (Mills Oakley Lawyers) on day one of the Intensive. Paul Hockridge, CTA, is a Tax Partner at Mutual Trust with over 30 years’ experience in tax, asset protection, estate and succession planning, FBT and salary packaging. We spoke to both Pauls about what to expect in the plenary session and the workshop. 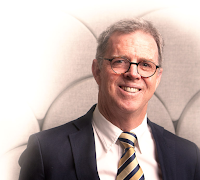 Brian Richards, CTA, of Richards Advisory, has specialised in providing taxation advice to accounting and legal practitioners in respect of a wide range of business clients for approximately 40 years, or as he puts it “Has been around for a long time, but loves tax”. His particular taxation specialty areas include business restructuring, intellectual property transactions, CGT issues and tax planning matters. At the 24th Noosa Tax Intensive in November, Brian joins workshop leaders Ash Chotai, CTA (Chotais Chartered Accountants), Neal Dallas, CTA (McInnes Wilson Lawyers), Linda Farmer, CTA (Grant Thornton), Stuart Glasgow, CTA (Mutual Trust Pty Ltd), and Maggie Millar, FTI (Grant Thornton) for a workshop on Division 7A and Division 152, coordinated by Paul Banister, CTA (Grant Thornton). Almost all practitioners would agree that tax reform, technology, and globalisation will change the way the tax profession operates in the future. The problem is – the future is already here – and it has begun to affect the tax profession as a whole. How will you, as a tax adviser, prepare for these future changes at the same time that you’re grappling with current ones? Join us and a long list of thought leaders at the VIC 4th Annual Tax Forum to prepare for this brave new world. Jason Barnes, CTA, is a member of the Organising Committee for the VIC 4th Annual Tax Forum. At King & Wood Mallesons he is a Special Counsel, and has over 15 years' tax experience. His experience includes roles as a Special Counsel at a specialist tax advisory firm, and two secondments to major banks in Hong Kong and Melbourne. We spoke to Jason about the upcoming VIC 4th Annual Tax Forum, and some of the sessions he’s looking forward to. Asked what the Forum means to him, and more broadly, to the tax profession, Jason said “It’s an opportunity to hear and learn from some of the best tax minds in the country and to catch up and network with colleagues - existing and former - and clients”. Robert Gallo is a Partner at PwC, where he helps tax functions transform their operations through the use of strategy, risk management and technology solutions. Here we speak to him about his session at the VIC 4th Annual Tax Forum. Robert has more than 15 years’ experience in advising clients on optimising their tax reporting and compliance processes as well as transforming their tax functions to best balance their use of strategy, people, processes and technology. His experience expands across tax functions in various geographies and industries including banking and finance, retail, manufacturing, energy and mining. This experience includes tax function design and assessment, application of tax corporate governance and risk management frameworks, process improvement, tax software implementation combined with tax project assurance. On day two of the 2016 National Superannuation Conference we are joined by two US based practitioners for the session ‘US Tax Issues Affecting Australian Superannuation Fund Members with a US Connection’, Marsha–Laine F Dungog JD, LLM, and Roy Berg JD, LLM. We spoke to them about what to expect from their session.